A new report from Obama’s science and tech advisors outlines the case for an urban-focused technology policy. I’ve long complained that U.S. cities are not getting the attention they deserve from the federal government, even though they are the nation’s fundamental engines of innovation and economic progress. But that may be starting to change, thanks to a new report from President Obama’s high-level Council of Advisors on Science and Technology (PCAST). In the report, titled Cities and the Future of Technology, PCAST makes the case for putting cities at the very center of America’s innovation strategy and technology policy. The report is the product of a blue-ribbon panel of the nation’s leading scientists, technologists, and urbanists such as John P. Holdren (the Assistant to the President for Science and Technology), Alphabet’s Executive Chairman Eric Schmidt, and Daniel Doctoroff, the CEO of Sidewalk Labs. Ultimately, PCAST argues in favor of a “place-based” policy that uses investments to embed the most advanced technology in urban infrastructure. It maintains that the U.S. needs a bold new approach that goes beyond the current emphasis on smart cities. In other words, the nation and its cities should use technology not only to upgrade and transform aging infrastructure, but to reshape the way cities operate from top to bottom. Doing so will save energy, reduce traffic and congestion, create more sustainable and competitive cities, and bolster the innovation and competitiveness of the U.S. more broadly, according to the report. In advancing its findings, the report focuses on several dimensions of cities and technology. Transportation: The report highlights efforts to develop driverless vehicles, or CAVs. These kinds of developments, the report argues, not only pose significant money-saving opportunities, but are also responsible for placing the nation “on the verge of large-scale transformation.” Considering the cost of traffic collisions ($300 billion per year), vehicular congestion ($124 billion per year), and related health-care incidents ($50-80 billion per year) in the U.S., the report finds that the nation could save around $1.2 trillion per year if people refrained from driving. 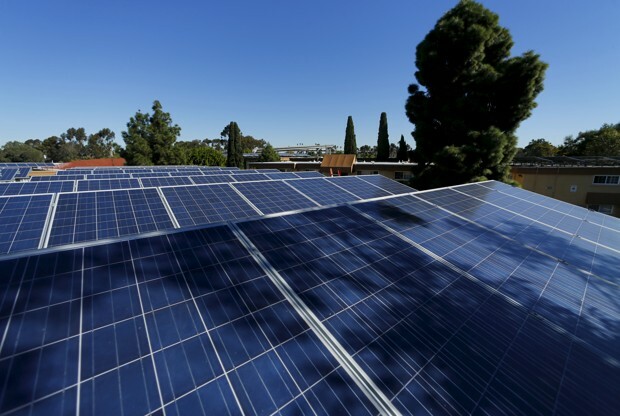 Energy: From electric energy systems to electric vehicles, the increasing “electrification” of our cities is helping to protect our environment and benefit our economy in the long run, the report argues. The report also focuses on the concept of “District Energy,” which uses technology to coordinate the local production of energy with its local uses. In 2015, three cities—Burlington, Vermont; Greensburg, Kansas; and Aspen, Colorado—already declared themselves 100 percent renewable, the report finds. Buildings and Housing: While nearly 67 percent of cities worldwide have committed to green-building codes, only 12 U.S. cities rank among the leading cities for environmental design. To fix this, the report recommends a number of changes, including the integration of sensory technology that understands and responds to changes in the environment. Water: With regard to our world’s most precious resource, the report focuses on storm water systems as a means of improving water infrastructure at the local level. 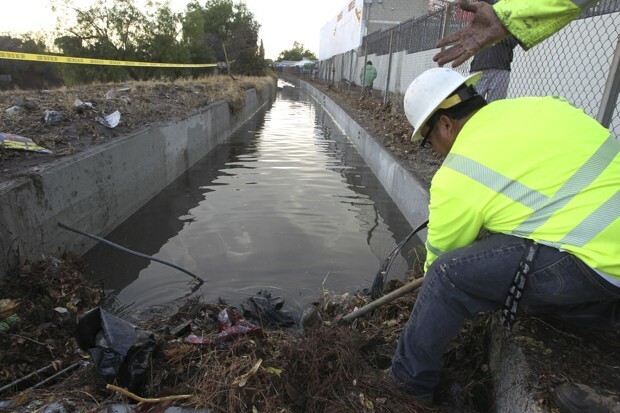 Over in Los Angeles, for instance, the report finds that the city could triple or even quadruple its storm-water capture by 2099 by adding these systems in households and neighborhood districts. Factories and Farms: Technology is not only transforming high-end knowledge fields, but labor-intensive fields like manufacturing and farming as well. When it comes to manufacturing, the report focuses on the need to take advantage of the growth of high-tech industries by creating jobs for low-income residents. When it comes to urban farming, the report emphasizes the need for soil-less agriculture systems and praises the work of rooftop greenhouses in places like Brooklyn, Queens, and Chicago. Most of all, the report makes the case for stronger involvement of the federal government in the crucial nexus of cities and technology. Many have argued that cities can solve their own problems, or even that mayors should rule the world, but the report smartly recognizes that such massive investments in infrastructure need the support of the federal government. To that end, the report makes four specific recommendations. Invest in and experiment with technology: First, the report recommends the creation of a new Cities Innovation Technology Investment Initiative, or CITII, to coordinate city-by-city efforts and enhance urban innovation across the nation. At the outset, this initiative would select five districts—at least two of which are low-income communities—to receive $30-40 million for technology advancements. The initiative would also designate certain federal agencies as “districts of experimentation” to test out new technologies. Finally, the report recommends that the CITII develop training and certification programs to turn new innovation into a means of job production. Set up innovation laboratories: Next, the report recommends creating new “innovation laboratories” within the Department of Housing and Urban Development to assemble the same technological resources that many governmental agencies have already. Focus on infrastructure and low-income communities: The report recommends that cities develop “Urban Development Districts,” which would receive funding from the Treasury to generate innovation in low-income districts. Along these same lines, the authors support the approval of public infrastructure bonds that would incentivize private investment in tech-based urban innovation. Coordinate research: Finally, a new Urban Science Technology Initiative should be created within the National Science and Technology Council to coordinate federally funded research (both short- and long-term) across these agencies. The report recognizes that cities are the key to both developing and deploying new technology. Just as technology led to massive advances in manufacturing—from automation and robotics to more efficient supply chains and deliveries—so too does it promise to improve the productivity of cities and urban infrastructure. The big problem, of course, lies in our increasingly polarized and dysfunctional political system that will make it hard, if not impossible, to do the kinds of things the report outlines. Still, the report does much to show why we need to put cities at the center of our strategy for innovation and economic competitiveness. Road safety in Sweden follows a basic concept: human beings are flawed. Following that belief, Swedish Transport planners have squarely put the responsibility for road safety on designers. It’s working. Today, Sweden has among the safest streets on the planet. Worldwide, more than 1.2 million people die each in traffic crashes. The World Health Organization predicts that figure could triple by the year 2030. But, as Sweden has demonstrated, the trend is reversible. Cities across the US. and the globe, are adopting Sweden’s model for road safety. It’s called “Vision Zero” — the idea that no loss of life on the roads is acceptable. It became a national policy in 1997, passed by the Swedish parliament. Most of the changes are actually quite simple, explains Matts-Åke Belin, who directs the Vision Zero Academy for the government. He said consider a four-lane intersection. But, when somebody runs a red light, we all know those high-speed crashes don’t end well. Belin says there’s an alternative: a traffic circle, or roundabout. “The crashes might increase a little bit because it becomes a little bit more difficult to drive in a roundabout, but those (accidents) that happen will be less severe,” says Belin. Roundabouts in Stockholm are used to minimize head-on collisions. In essence, they’re making a trade: allowing more minor accidents as people get used to roundabouts in exchange for fewer deaths on the road. Again, they’re putting the onus on the road designer to keep people safe on the roads. In a video from the country’s Vision Zero Imitative, Claes Tingvall, a director of traffic safety for the Swedish National Road Administration said, “If you take a nuclear power station, if you take aviation, if you take a rail system — all of them are based on that they should be operated by people who can make a mistake.” So why isn’t this precautionary approach applied to roads too, posits the video. There are lots of other small changes in Sweden’s urban areas to keep people safe. For example, cars can only travel 30 kilometers per hour (about 19 miles per hour). Belin says this dramatically lowers the risk of fatalities if unprotected pedestrians get hit. Stockholm is filled with speed bumps and raised cross walks. There are signs everywhere, and I mean everywhere, alerting motorists where walkers and cyclists might be. It works. Cars go slow. As for cyclists, they often get their own physically-separate lane. I went for a 10-mile ride with Riggert Anderson and asked if he ever feels at risk when he rides. By the numbers, Anderson’s attitude is justified — Stockholm has the safest roads of any major city in the world. So, it’s not surprising that cities everywhere are trying to replicate the Swedish model. My city, Boston, adopted it last year. I met him along with Stacy Thompson, deputy director with LiveableStreets Alliance, a group that seeks to balance walking, biking, and public transport with cars. She herself doesn’t cycle in Boston though; she doesn’t think it’s safe enough. Safe street advocates Stacy Thompson and Brendan Kearney in Boston. “And I’m clear about that, because I’m working to make it safe enough to feel comfortable enough to bike,” said Thompson. In the chicken and egg equation, Thompson said you need to build infrastructure before you get more cyclists. What does Boston have to learn? It already is one of the safest major cities in the US. Still, you’re about three times more likely to be killed on the roads in Boston — walking, cycling or traveling in a car — than in Stockholm. I spoke with Thompson and Kearney at the corner of Massachusetts Avenue and Beacon Street, a notoriously dangerous spot. A young surgeon was killed on a bicycle here last year when a truck turned into her. The city made some quick changes like placing flexible posts in the ground to mark off the bike lane. Kearney says the city can do more, like changing the timing on traffic signals. “There are no leading pedestrian indicators, meaning the walk signal comes on in advance of the traffic, which would basically let people walking and biking be halfway out in the intersection, give more visibility to any turning vehicles,” said Kearney, who was frustrated it hasn’t happened yet. It’s s a low-cost idea the city says it plans to do. But the city’s Vision Zero plan is a 15-year strategy. Problems won’t get solved overnight. A “ghost bike” memorial in Boston marks where surgeon Anita Kurmann was struck and killed by a truck. Making cars wait a few seconds so pedestrians and cyclists can get a head start, that’s small potatoes. For the long-term, Stacy Thompson says city planners need to take space away from cars, a costly proposition. 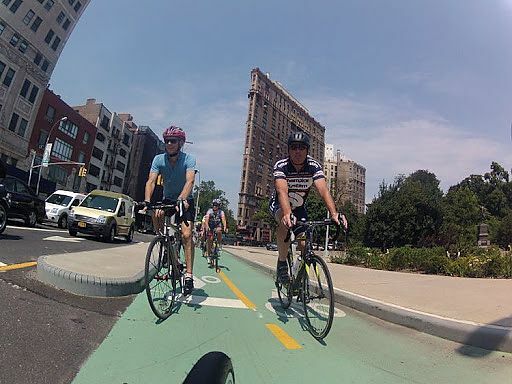 “So if you get a place that’s protected for bikes, a place that’s protected for public transportation, and a place for cars, it’s much safer and much more efficient,” said Thompson, who would also like to narrow lanes for cars to slow them down. But that won’t be an easy sell for drivers — sharing more of the road and giving up their dominant status on streets. Re-designing urban streets will be costly. But getting buy-in from drivers … that might be the bigger challenge implementing a Swedish-style safety program in Boston. Or anywhere. More roads means more traffic in both the short- and long-term.Adding 10 percent more road capacity leads to 3-6 percent more vehicle miles in the near term and 6-10 percent more over many years. We recognize that physical solutions by themselves will not solve social and economic problems, but neither can economic vitality, community stability, and environmental health be sustained without a coherent and supportive physical framework. We represent a broad-based citizenry, composed of public and private sector leaders, community activists, and multidisciplinary professionals. We are committed to reestablishing the relationship between the art of building and the making of community, through citizen-based participatory planning and design. We dedicate ourselves to reclaiming our homes, blocks, streets, parks, neighborhoods, districts, towns, cities, regions, and environment. Metropolitan regions are finite places with geographic boundaries derived from topography, watersheds, coastlines, farmlands, regional parks, and river basins. The metropolis is made of multiple centers that are cities, towns, and villages, each with its own identifiable center and edges. The metropolitan region is a fundamental economic unit of the contemporary world. Governmental cooperation, public policy, physical planning, and economic strategies must reflect this new reality. The metropolis has a necessary and fragile relationship to its agrarian hinterland and natural landscapes. The relationship is environmental, economic, and cultural. Farmland and nature are as important to the metropolis as the garden is to the house. Development patterns should not blur or eradicate the edges of the metropolis. Infill development within existing urban areas conserves environmental resources, economic investment, and social fabric, while reclaiming marginal and abandoned areas. Metropolitan regions should develop strategies to encourage such infill development over peripheral expansion. Where appropriate, new development contiguous to urban boundaries should be organized as neighborhoods and districts, and be integrated with the existing urban pattern. Noncontiguous development should be organized as towns and villages with their own urban edges, and planned for a jobs/housing balance, not as bedroom suburbs. The development and redevelopment of towns and cities should respect historical patterns, precedents, and boundaries. Cities and towns should bring into proximity a broad spectrum of public and private uses to support a regional economy that benefits people of all incomes. Affordable housing should be distributed throughout the region to match job opportunities and to avoid concentrations of poverty. The physical organization of the region should be supported by a framework of transportation alternatives. Transit, pedestrian, and bicycle systems should maximize access and mobility throughout the region while reducing dependence upon the automobile. Revenues and resources can be shared more cooperatively among the municipalities and centers within regions to avoid destructive competition for tax base and to promote rational coordination of transportation, recreation, public services, housing, and community institutions. The neighborhood, the district, and the corridor are the essential elements of development and redevelopment in the metropolis. They form identifiable areas that encourage citizens to take responsibility for their maintenance and evolution. Neighborhoods should be compact, pedestrian friendly, and mixed-use. Districts generally emphasize a special single use, and should follow the principles of neighborhood design when possible. Corridors are regional connectors of neighborhoods and districts; they range from boulevards and rail lines to rivers and parkways. Many activities of daily living should occur within walking distance, allowing independence to those who do not drive, especially the elderly and the young. Interconnected networks of streets should be designed to encourage walking, reduce the number and length of automobile trips, and conserve energy. Within neighborhoods, a broad range of housing types and price levels can bring people of diverse ages, races, and incomes into daily interaction, strengthening the personal and civic bonds essential to an authentic community. Transit corridors, when properly planned and coordinated, can help organize metropolitan structure and revitalize urban centers. In contrast, highway corridors should not displace investment from existing centers. Appropriate building densities and land uses should be within walking distance of transit stops, permitting public transit to become a viable alternative to the automobile. Concentrations of civic, institutional, and commercial activity should be embedded in neighborhoods and districts, not isolated in remote, single-use complexes. Schools should be sized and located to enable children to walk or bicycle to them. The economic health and harmonious evolution of neighborhoods, districts, and corridors can be improved through graphic urban design codes that serve as predictable guides for change. A range of parks, from tot-lots and village greens to ballfields and community gardens, should be distributed within neighborhoods. Conservation areas and open lands should be used to define and connect different neighborhoods and districts. A primary task of all urban architecture and landscape design is the physical definition of streets and public spaces as places of shared use. Individual architectural projects should be seamlessly linked to their surroundings. This issue transcends style. The revitalization of urban places depends on safety and security. The design of streets and buildings should reinforce safe environments, but not at the expense of accessibility and openness. In the contemporary metropolis, development must adequately accommodate automobiles. It should do so in ways that respect the pedestrian and the form of public space. Streets and squares should be safe, comfortable, and interesting to the pedestrian. Properly configured, they encourage walking and enable neighbors to know each other and protect their communities. Architecture and landscape design should grow from local climate, topography, history, and building practice. Civic buildings and public gathering places require important sites to reinforce community identity and the culture of democracy. They deserve distinctive form, because their role is different from that of other buildings and places that constitute the fabric of the city. All buildings should provide their inhabitants with a clear sense of location, weather and time. Natural methods of heating and cooling can be more resource-efficient than mechanical systems. Preservation and renewal of historic buildings, districts, and landscapes affirm the continuity and evolution of urban society. The OCPG has come to realize that the difficulty with density and parking and other issues relating to a walkable Oxnard Boulevard in our downtown and corridor areas is that our current zoning does not allow true urban placemaking. For instance, current Oxnard zoning in the downtown allows 39 units per acre…which means that the living units must be 3 and 4 bedrooms. We need higher density to accommodate the empty-nesters, Millennials and others who are interested in living an urban lifestyle and want singles or 1 bedroom units. Form Based codes allow a broader range of options in specific overlay areas. Zoning in Oxnard’s residential areas will not change. Form based codes are generally applied in very specific overlay areas do not replace existing zoning. Below is a copy of the Form Based Code section of our Resources page – click the Resources tab above to view all our great place-making and urban design links. The SmartCode is a model, form-based unified land development ordinance designed to create walkable neighborhoods, towns and cities across the full spectrum of human settlement, from the most rural to the most urban, and incorporating a transect of character and intensity within each. The SmartCode was originally developed by Duany Plater-Zyberk & Company. It now exists as shareware and typically serves as a foundation from which it is then customized to address specific municipal goals. It can be leveraged as a tool towards both aspirational and preservationist ambitions. The SmartCode is a unified land development ordinance for planning and urban design. It folds zoning, subdivision regulations, urban design, and optional architectural standards into one compact document. Because the SmartCode enables community vision by coding specific outcomes that are desired in particular places, it is meant to be locally customized (also known as “calibrated”) by professional planners, architects, and attorneys. The SmartCode is not a building code. Building codes address life/safety issues such as fire and storm protection. Examples of building codes include the IBC, IRC, and ICC documents. The SmartCode supports these outcomes: community vision, local character, conservation of open lands, transit options, and walkable and mixed-use neighborhoods. It prevents these outcomes: wasteful sprawl development, automobile-dominated streets, empty downtowns, and a hostile public realm. It allows different approaches in different areas within the community, unlike a one-size-fits-all conventional zoning code. This gives the SmartCode unusual political power, as it permits buy-in from stakeholders of diverse interests and concerns. The SmartCode is considered a “form-based code” because it strongly addresses the physical form of building and development. Conventional zoning codes are based primarily on use and density. They have caused systemic problems over the past sixty years by separating uses, making mixed-use and walkable neighborhoods essentially illegal. The SmartCode is also a transect-based code. A “transect” is usually seen as a continuous cross-section of natural habitats for plants and animals, ranging from shorelines to wetlands to uplands. The specific transect that the SmartCode uses is based on the human habitat, ranging from the most rural environments to the most urban environments. This transect is divided into a range of “Transect Zones,” each with its own complex character. It ensures that a community offers a full diversity of building types, thoroughfare types, and civic space types, and that each has appropriate characteristics for its location. The six T-Zones are: T-1 Natural, T-2 Rural, T-3 Sub-Urban, T-4 General Urban, T-5 Urban Center, and T-6 Urban Core. The Transect is a powerful tool because its standards can be coordinated across many other disciplines and documents, including ITE (transportation), and LEED (environmental performance). Thus the SmartCode integrates the design protocols of a variety of specialties, including traffic engineering, public works, town planning, architecture, landscape architecture, and ecology. If stronger architectural guidelines are desired, a community may further adopt supplemental regulations or a pattern book. Let’s talk about dollars spent. Millions of dollars. 7.2 million dollars specifically, of which 5.5 million came directly from the local economy. The goal? At least according to local leadership, it was to increase quality of life via improved walkability. First, a caveat: This isn’t going to be one of those pieces denouncing government spending as inherently bad. But neither will it be one that suggests all is well when spending gets characterized as an investmentrather than a mere expenditure. After all, investment itself is a neutral term. There are good investments and bad ones. Smart investments and, well, not so smart ones. So let’s look at some specifics. South Dekalb County, Georgia, is not all that different from a lot of places. Originally rural and agricultural, it began developing after World War II in the typical suburban pattern of the day — separated uses, subdivisions and strip commercial, and dendritic networks of local, collector, and arterial roads. Then, in the 60s and 70s, it suffered the scourge of white flight and has been dealing with the challenges of disinvestment — and commensurate efforts to turn it all around — ever since. Many of these efforts have been rooted in infrastructure improvement. Local leadership calls them investments in the future, which makes for a nice sound bite but also invites the question: How good of an investment is it? Let’s look at one example, a 3.7 mile stretch of GA-155, also known as Candler Road, that’s ripe for a renaissance local officials have been courting for years. Like in 1999, when adjacent property owners were offered grants of up to $55,000 to construct new buildings or renovate existing ones. But still, the area has struggled. So when the prospect is raised to spend 7.2 million dollars to spruce it up and make it more walkable, it sounds like a win. The suggestion is that nicer pedestrian infrastructure will make the corridor more inviting, renewed interest will lead to new investment, and new investment will pay off in the form of an improved tax base. But the devil, at least in my experience, is absolutely in the details. Because investing in pedestrian infrastructure and making a place more walkable are not necessarily the same thing. The investment took the form of new sidewalks, road striping and repaving, landscaping for medians, decorative hardscape, and street lamps. Local leadership has specifically stated that the money was being spent to improve quality of life by making the corridor more walkable so it makes sense that the results be evaluated according to that ambition. It’s not particularly difficult. Fairly easy, actually, because encouraging walkability is not an arbitrary endeavor. 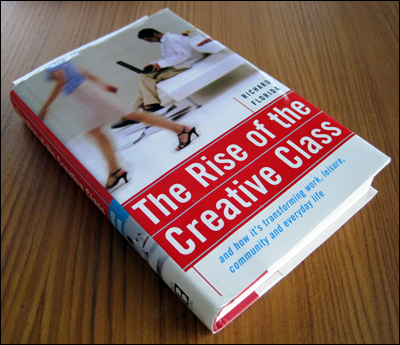 It’s been studied for some time now and the contextual characteristics that contribute to it are well known. 1. Put cars in their place. This endeavor contains no reconfiguration of traffic lanes to reduce width and, with it, speed. It does nothing to remove or redistribute lanes either. In fact, the width of public right of way devoted to automotive throughput is identical to what it was before the $7.2 million was spent. 2. Mix the uses. The county’s physical overhaul of the corridor did not include any modifications to the surrounding zoning. It remains single use, auto-dependent commercial. 3. Get the parking right. The Candler corridor has always been over-parked and new development remains subject to a development code whose default outcome is set back strip or pad retail with parking in the front. 4. Let transit work. As a primary corridor, Candler features a MARTA bus route. But none of this pedestrian upgrade, as best I can tell, included bus stop infrastructure or other means of improving the transit experience. 5. Protect the pedestrian. These infrastructure investments do include some features that draw attention to pedestrians, such as crosswalks, but they include no changes that actually privilege pedestrians over surrounding vehicles. 6. Welcome bikes. As mentioned previously, Candler’s lane configuration remains the same. No bicycle facilities have been added. 7. Shape the spaces. Outside of a few spots dating back to the 40s, the present conventional zoning ensures that any future development will include parking setbacks. There is no expectation that street-fronting retail or other space shaping arrangements will materialize. 8. Plant trees. The Candler corridor upgrade includes some ground level median plantings but nothing in the pedestrian realm. 9. Make friendly and unique [building] faces. This is kind of a moot point because there is no expectation of street facing development. With no pedestrian oriented buildings there are no contributing details to consider. 10. Pick your winners. Speck is known for advocating a triage approach to pedestrian infrastructure, wherein ped-related investment is directed specifically to walkable or potentially walkable places where the most good can be done. The Candler corridor fails to meet this standard. When political leadership justifies an expenditure of $7.2 million by saying it will make a place more walkable and yet the completed project, even generously assessed, fails to meet even one of the ten steps towards achieving walkability, it deserves scrutiny. If I were to ask, I’m sure I’d hear all kinds of reasons why — reasons I acknowledge constitute very real and very common obstacles. It’s a state route and the DOT strong-armed the design (while covering just 24% of the cost). Long term changes to zoning are a separate initiative that may or may not come to pass. Etc. Etc. Yet ultimately, these enhancements were intended to leverage walkable quality of life to secure new investment and an increased tax base. When that doesn’t come to pass, will leadership answer by saying, “Well, the important thing is that we tried. We had no way of knowing it wouldn’t work”? So, if we’re not going to pursue walkability in a meaningful, systemic way based on the principles that actually deliver results, and we have the data available showing that pedestrian lip service in car dependent places has no appreciable impact on property values, then exactly why are we — or any of the countless places around the country doing similar projects — spending millions of dollars anyways? 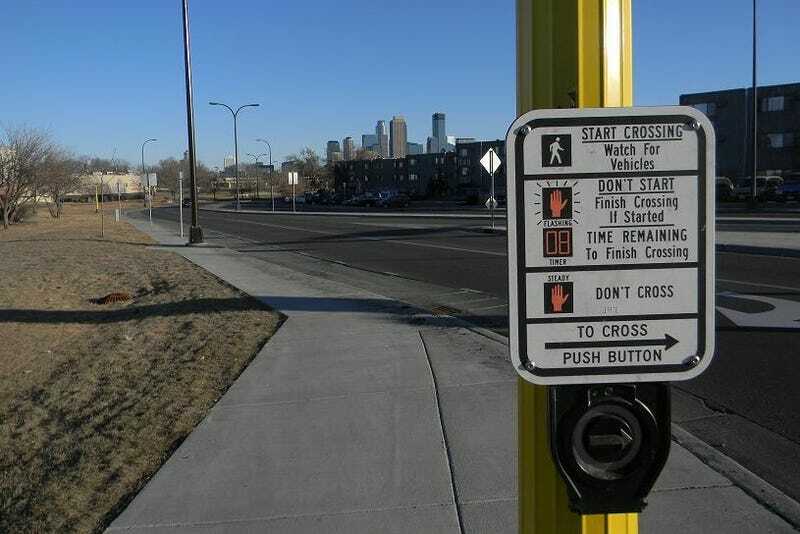 Why Do Pedestrians Have to Press “Beg Buttons” to Cross the Street? We were all taught how to cross a street: Look both ways. But, in some cities, you’ll also have to ask permission by pressing a tiny button and waiting your turn. Those little buttons on walk signals have been nicknamed “beg buttons”—because walkers are pretty much begging to be able to cross. Here in Los Angeles, if you don’t press them, you won’t even get the opportunity to cross—the light will turn red, stopping the opposing traffic, but you’ll never get a walk signal and the light won’t stay green long enough for you to actually make it to the other side. But the problem, especially in L.A., is that jaywalking is not only defined as running across the street mid-block without a signal—you can also get a ticket for stepping off the curb at a signal after the “countdown” starts. This is not to say that people don’t cross the street illegally—they definitely do. And who hasn’t tried to beat the clock by running across the street before that countdown runs out? The problem with beg buttons is that they criminalize walkers—they provide a very specific way for police to blame pedestrians for an uptick in collisions. As for pedestrian safety, which is the typical stated purpose of jaywalking crackdowns, more pedestrians generally are killed in urban areas by cars violating their right of way than are rogue pedestrians violating vehicles’ right of way. Then there are those people struck on sidewalks, even inside restaurants. What do we call that? Jay-living? The fines for blocking an intersection or rolling through a stop sign are $50—still far lower than the jaywalking ticket you might get in other cities. But it’s a step in the right direction: Law enforcement is targeting the entity that’s most likely to do the most harm. Another option is to give the pedestrian a few extra seconds to cross, what planners call a “leading pedestrian interval” or LPI. Here, walk signals give pedestrians a five second head start before the cars crossing with them get the green light. This not only gives extra time to cross the street—especially important for wide streets and elderly residents or people with wheelchairs or strollers—it allows the pedestrians to get out into the streets and be more visible before the cars start driving through, preventing collisions from right turns. This solution is great: it doesn’t require any additional infrastructure, just a reprogramming of the signal’s schedule. We should also look at redesigning the intersections themselves. There has been a resurgence in the crosswalks called pedestrian scrambles which stop all vehicular traffic (even right turns) and allow walkers to cross in all directions, including diagonally, which is the safest and most effective way to get pedestrians across the street. 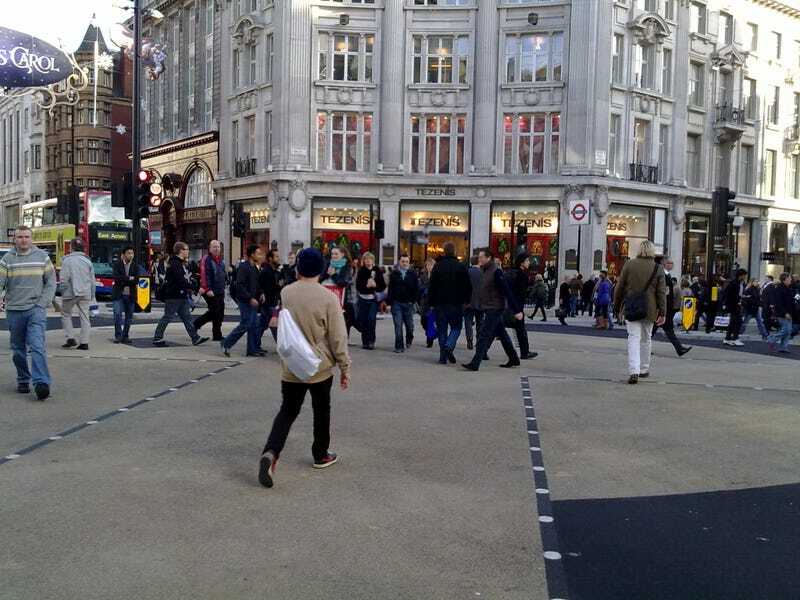 If you look at the intersection above, which is Oxford Circus in London, you’ll see that not only do the signals stop all traffic, but the pedestrian paths themselves are highlighted with paint and reflectors. This clearly delineates the path that’s for walkers and makes them feel better about crossing. It redesigns the intersection for pedestrians, as it should be. Scrambles aren’t the only way to make walkers safer, and many of the best solutions draw from a variety of improvements. In New York City last night, the DOT revealed a comprehensive pedestrian safety redesign for a deadly intersection on the Upper West Side that included a shorter wait for pedestrians, limited left turns, and a redesigned crosswalk. Designing more visible crosswalks is a pretty simple thing to do, but most cities likely won’t embark upon massive pedestrian signaling improvements until there’s a particular density of walkers to use them. The reason beg buttons have been phased out in cities like New York is because there’s a high number of walkers at pretty much any intersection. If another city made an announcement to remove their beg buttons, I have a feeling we’d hear from frustrated drivers who would complain that their time stopped at a light will be longer because they’ll have to wait, even when no pedestrians are present. So how about reducing the number of signals? There have been studies that show signaling actually makes drivers less mindful of their surroundings; they’re more likely to pay attention to pedestrians and other obstacles at stop signs, when they’ll have to take an active role in deciding when to stop and go. 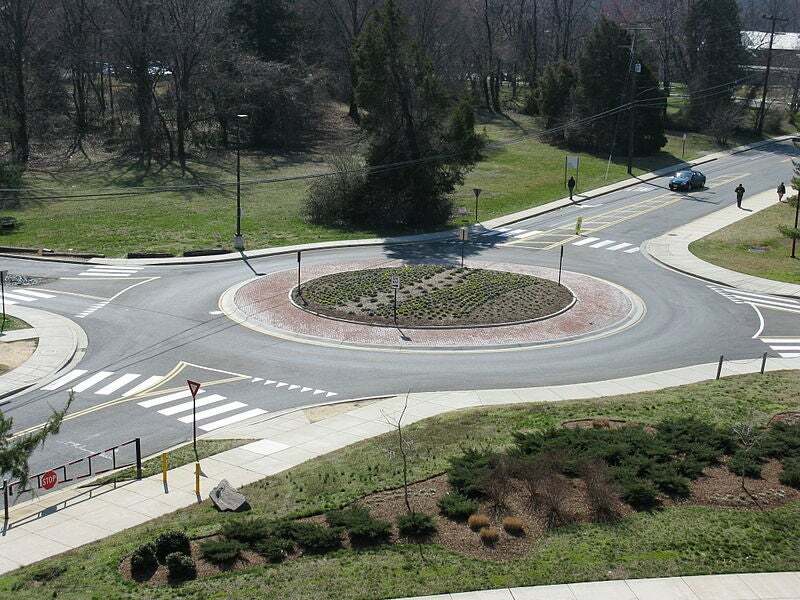 And signal-free roundabouts have been shown to offer vast improvements when it comes to mitigating traffic flow and reducing pedestrian collisions. Of course, this is not an option for very, very busy intersections, but you’ve likely experienced why this is a better solution for yourself while crossing smaller streets. A stop sign allows the driver and walker to make eye contact and engage in a dialogue of sorts, agreeing to keep each other safe. And that’s exactly what we should be doing: making everyone on the street feel safe and acknowledged.